This paper presents a hazard/crime incident information sharing system using cell phones. Cell phone penetration is nearly 100% among adults in Japan, and they function as a telecommunication tool as well as a Global Positioning System (GPS) and camera. Open source software (Apache, Postfix, and MySQL) is installed on a system server, and together with the information service provided by Google Maps, are used to satisfy system requirements for the local community. Conventional systems deliver information to all people registered in the same block, even if an incident occurred far from their house. The key feature of the proposed system is that the distribution range of the hazard notification e-mail messages is determined by the geometrical distance from the incident location to the residence of each registered member. The proposed system applies not only to conventional cell phones but also smart phones, which are rapidly becoming popular in Japan. The new system functionality has been confirmed by a trial using members of the local community. System operation began after the successful trial and a training meeting for the local residents. System design, verification results, and operating status are described in this paper. Being informed about crime in one's community is the first step to preventing future occurrences, so public agencies provide various kinds of map-based incident information. For example, in San Diego, the community uses http://mapping.arjis.org/. As well as such formal information produced by public agencies, it is also important to have local information from local residents. Such information represents personal and experiential location-based knowledge. Thus, a number of map-based systems to share local knowledge have been developed on the web (Rantanen, 2007; Waters & Evans, 2003; Hattori, Goto, & Hayami, 2008). In these systems, users can enter local safety/hazard incident information on a map. The system that Hattori, Goto, and Hayami (2008) proposed is based on an open source content management system (Xoops), and citizens can manage and develop it to adapt it to the needs of the community. However, in this system, citizens do not use cell phones or location information obtained by GPS. Consequently, it is quite difficult to share information about incidents in real time or even within a short time. Moreover, it is impossible to send location information if the user does not know the address where the incident has occurred. Terashima, Sekizuka, and Sasaki (2008) and Nagasaka (2006) have developed town map systems for disaster or crime prevention in Japan. In their systems, users can use a cell phone to send image data of locations with security problems, together with the location data obtained from a GPS and appropriate comments, for inclusion in a map which is available on the web. With these systems, residents, neighborhood associations and citizen groups can share information about hazards or incidents in the area. Stevens and D'hondt (2010) presented a crowdsourcing approach for measuring and mapping urban pollution and nuisance. Furtado, Ayres, Oliveira, Filho, Caminha, D'orleans, and Belchior (2010) developed the WikiCrimes system that makes it possible for the general public to share information about the occurrence of criminal acts in a particular location. San Francisco Crimespotting (http://sanfrancisco.crimespotting.org/) is an interactive crime map with an associated timeline in San Francisco. Ganapati (2010) uses OpenStreetMap to produce the interactive crime map. OpenStreetMap is a free map of the world that can be edited by anyone with an Internet connection. Although users can monitor all information relating to the area using a web browser, the information required is different for each person. The necessary information seems to be mainly information near a person’s house or their nearest station, etc. In the geographic information field, it is now common for individuals with little or no training in geographic concepts to use online mapping services and GPS-enabled mobile devices to create, edit, and update spatial data relating to features or events of personal interest. This new mode of producing and using spatial data through mass participation and collaboration is referred to as volunteered geographic information (VGI). 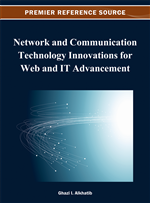 Goodchild (2007) described the technologies that make VGI possible, its concepts and issues. He pointed out that the most important value of VGI may lie in the reports about local activities that go unreported by the world media and thus about life at a local level. Hall, Chipeniuk, Feick, Leahy, and Deparday (2010) have developed the MapChat tool to facilitate web-based interaction among members of the general public interested in discussing geographic issues of local relevance. The tool was initially introduced to residents of a small and cohesive community through a series of small scale workshops. Depending on the nature of the chat, the tool needs a web browser.